Innovative hotel concepts and a wide variety of relaxation facilities are the hallmark of the high-class hotels and resorts of the Lindner Hotel Group. One of their top establishments is the Lindner Congress Hotel, Düsseldorf. Excessive energy costs and warmth that no longer met modern requirements on comfort made it necessary to renovate the heating system. 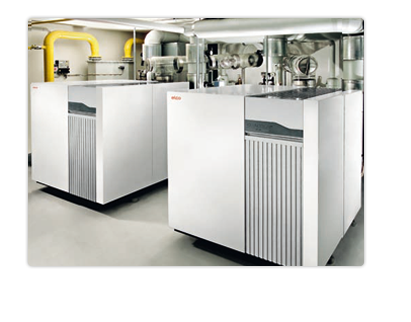 Two ELCO modulating gas condensing boilers formed the heart of the new system. The result was flexible, comfortable heating and warm water that met all requirements – with the highest reliability and at calculable cost. The renovation was carried out parallel to the daily running of the hotel.